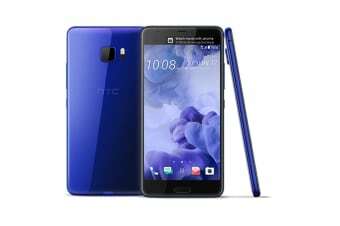 The HTC U Ultra (64GB) has a gorgeous liquid Surface 5.7” dual display screen. This stunning screen allows you to take full advantage of all the amazing features this phone offers. With the highest rated camera yet the flagship HTC 10 received an industry leading score of 88 from DXOMark. Photos will have less blur, super-fast laser focus and new Phase Detection Auto Focus (PDAF) to catch amazing photos, even at night. Also, the new selfie camera will allow you to switch between 16mp and UltraPixel, which has 4x light sensitivity for those great evening photos. The HTC USonic adapts to your inner ears using a sonic pulse, that way you receive the highest quality sound imaginable. Plus, with 4 highly sensitive omnidirectional mics you will capture sound beautifully allowing you to feel like you’re there every time you watch the video. The new HTC Sense Companion will change the way you interact with your phone. With the ability to recommend restaurants, to remind you of events and even can respond to your voice when it is in sleep mode, this phone will constantly learn and become more helpful to you.